DES Architects + Engineers | Bluebeam, Inc.
DES Architects + Engineers (DES), a full-service design firm headquartered in Redwood City, California, was an early adopter of Bluebeam Revu. The firm first deployed Bluebeam in 2002 for its powerful, one-button PDF creation from AutoCAD®. Ahead of its time, DES used this technology to reduce printing and shipping fees and digitally distribute PDF drawings to clients, consultants, and contractors. Revu's capabilities have since grown tremendously. The software is now recognized as a fully-functional PDF creation, markup, editing and collaboration tool for start-to-finish digital project communication. DES now uses Revu in many new ways. For example, in September 2010 a DES project team used the PDF editor on Motion J3500 Tablet PCs as a faster, more efficient and paperless solution for punch and backcheck. The project was a LEED Gold, 196,742 square foot, 5-story office and ancillary building in San Diego, California. This facility serves as a base for Nokia's largest research and development group in North America. Brent Takahashi, the lead architect from DES, and his team faced quite the challenge when they arrived on the jobsite. 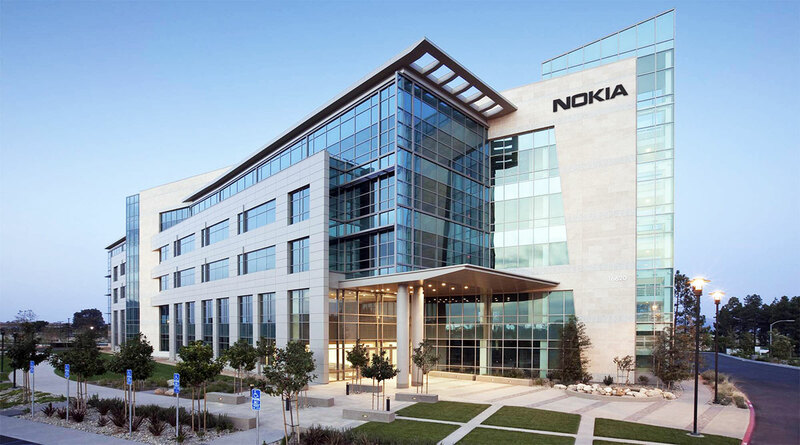 Under an expedited schedule and working alongside the contractor as a team, it was a huge undertaking for DES to punch the building, which was still under construction, yet issue the punch report quickly enough to allow the contractor time to correct the punch items before Nokia employees moved in. The punch list was going to be extensive. With only two weeks for DES and the contractor to complete the project together, DES needed an innovative, quality, and streamlined punch process, and there was no room for delay or miscommunication. That is when DES turned to Bluebeam. "Ideally we like to punch when the project is more complete," said Takahashi. DES did not have time to perform an extensive punch list via the traditional means of preparing floor plan backgrounds, marking them up during the punch walk through, returning with them to the office to type up the remarks, then redrawing the remarks on the plans for clarity - a cumbersome process prior to sending the final report to the contractor to make the corrections. Taking advantage of technology to increase efficiency, DES used Bluebeam on mobile tablet PCs which provided an opportunity to digitize, eliminate the rework of redlining and typing notes, and meet the seemingly impossible deadline. "The speed and amount of space we were able to cover every day using Bluebeam for punch enabled us to create punchlists in the time frame that the contractor needed to complete the project," added Takahashi. 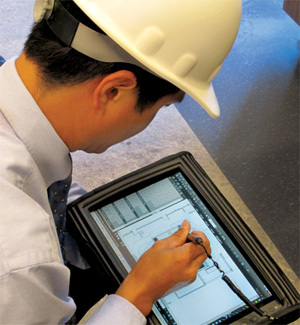 DES loaded PDFs of all project drawings onto the Motion Tablet PCs and began their punchwalks. As they identified incomplete items or elements needing repair, they used the tablet's stylus to redline the PDFs with Bluebeam's markup tools including callouts and specially-created punch keynotes. They were able to reapply frequently made comments quickly through Bluebeam's exclusive Tool Chest, which tracks recently used markups. They also copied and pasted markups already placed on the PDFs. At the end of the day, Takahashi and his team exported Revu's Markups list to create Excel® punchlists for immediate distribution to the contractor. The redlined PDFs were then reused for backcheck. Using Bluebeam on a Motion Tablet PC, DES immediately distributed punchlists with associated drawings to the General Contractor every evening. This saved on average one to two days' worth of data entry, reducing the amount of time needed to create and distribute punchlists between 50 to 65%. "On this project, speed was crucial. It was a schedule that's probably twice as fast as what would normally be called a 'fast-track project,'" said Takahashi. "Using Bluebeam for punch was a huge asset. We wouldn't have been able to get this done in such a short timeframe using pen and paper." Additionally, the project's General Contractor found tremendous value in DES' digital punch process. "Having a detailed markup of the punchlist items for easy reference in the field made the back-check process for our project engineers much simpler. It was easy to identify the specific issues being called out on the punchlist and to verify the completion before scheduling the architect's approval walk-through," said John Bunje, Project Manager at Rudolph & Sletten. "Being able to distribute these same markups with the Excel punchlist sorted by trade allowed for the subcontractors to get right to work rather than having to walk every trade through their list as the correction process began. This allowed the R&S team to focus more effort on the full completion and commissioning of work in order to meet the scheduled move-in date for the client." Watch the video above taken on the jobsite as Takahashi punched the building with Bluebeam Revu. Then, view this PDF which provides step by step instructions for replicating the workflow.